A list of Proofpoint's blog posts about CryptXXX ransomware can be found here. Background on the Afraidgate campaign is here. Background on the EITest campaign is here. Background on the pseudoDarkleech campaign is here. A blog about campaigns switching from Angler EK to Neutrino EK is here. Compromised websites for today's two pseudoDarkleech infections were found on malwaredomainlist.com (link). The compromised website for today's Afraidgate traffic was found in a report published by Forcepoint (link). The compromised website for today's EITest traffic was found on Broadanalysis.com (link). CryptXXX infections from Neutrino EK are no longer copying rundll32.exe to the same folder as the CryptXXX .dll file and renaming it. In today's infections, C:\Windows\SysWOW64\rundll32.exe loaded the CryptXXX .dll file. Shown above: An example of rundll32.exe and the CryptXXX .dll file in Process Explorer. Shown above: Flow charts for these Neutrino EK --> CryptXXX infections. Shown above: pseudoDarkleech --> Neutrino EK --> CryptXXX infection after viewing xenon.com.au. 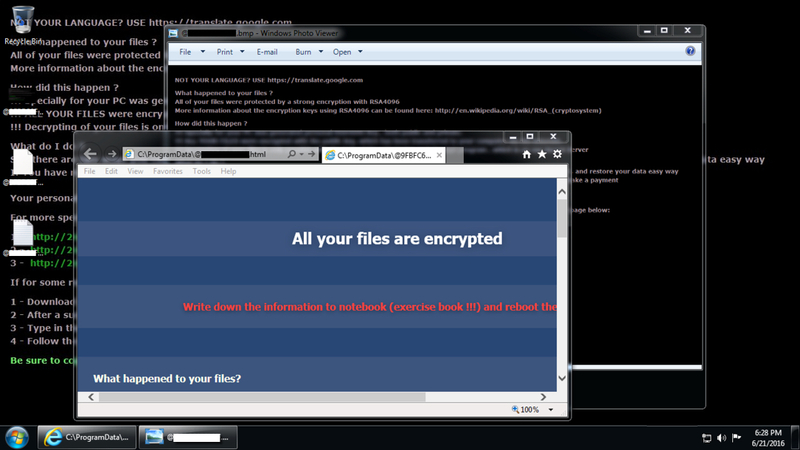 Shown above: pseudoDarkleech --> Neutrino EK --> CryptXXX infection after viewing fsm-europe.eu. Shown above: Afraidgate --> Neutrino EK --> CryptXXX infection after jkanime.net. Shown above: EITest --> Neutrino EK --> CryptXXX infection after ladepresion.org. Shown above: An example of an infected Windows desktop, rebooted after one of today's Neutrino EK --> CryptXXX infections.